The 20 March 2015 parliamentary elections in Kazakhstan did not surprise seasoned observers. Yet again, elections attested to the President’s Nazarbayev’s firm grip on the political life of the country and the absence of real political opposition. Like many previous parliamentary elections, these were also called early after the parliament’s unanimous vote to dissolve itself. The decision to hold elections followed a recent pattern when (early) presidential elections precede (early) parliamentary elections. This cycle serves to ensure the President’s full control of the political process. The “unexpected predictability” allows taking by surprise any potential opposition and the voters, leaving little time to contemplate these decisions or organize and run an effective campaign. Six of the seven political parties registered in Kazakhstan contested 98 seats in the lower chamber of parliament, elected from party lists. The opposition Azat party, which remains formally registered, decided not to participate in these elections. Following the announcement by Azat leader, Bulat Abilov, his withdrawal from politics in 2013, the party has not been visible. The remaining nine seats in the lower chamber of parliament are elected by the unelected Assembly of Peoples of Kazakhstan, whose members are nominated by President Nazarbayev. The six parties, as in the previous elections, displayed choreographed labels ranging from the communists to social democrats, aimed to demonstrate diversity and dynamism of the political life in Kazakhstan. But this show yet again exposed the well-honed and practiced art of controlled political environment, where only players loyal to President Nazarbayev are admitted on the political stage. Kazakhstan’s political parties largely exist on paper and command little support among the population, with the exception of the ruling Nur Otan party. Nur Otan is led by the President and is inseparable from his vertical power structure. Its dominance reinforces the message that stability of the country is dependable on the incumbent’s continuing rule. President Nazarbayev did not miss opportunities to publically endorse Nur Otan and call for voters’ support. Muted criticism of the ruling party came only from the Nationwide Social-Democratic Party (NSDP), which positioned itself as “opposition” and was for several years in merger talks with the Azat party. Thus, the number of registered election contestants did little to inject pluralism in the election campaign. International observers from the Organization for Security and Co-operation in Europe (OSCE/ODIHR) and Council of Europe found that “the parties’ campaign platforms and rhetoric were complementary to and aligned with the president’s long-term strategies and refrained from proposing political alternatives”. Shortly before elections, on 22 February, a well-known journalist and influential media personality, chair of the Union of Journalists, Seitkazy Mataev was arrested and criminal proceedings were launched against him on charges related to his business. The case stunned many in Kazakhstan, as Seitkazy Mataev was not known as a prominent opponent of the regime. At the same time, the criminal case against a well-known figure sent shock waves among the ranks of public activists. Earlier, several criminal cases against political bloggers were opened in the second half of 2015. These moves sent a clear message that any political activism diverging from the official position will not be tolerated. However, even if dissenting voices were allowed to contest elections, getting their message to the voters would be difficult. Years of suppression left Kazakhstan’s media landscape devoid of critical views to the president’s policies. Major media outlets are either in loyal hands or exercise self-censorship to avoid the fate of their critical predecessors that were forced to change ownership or close down. In the words of international observers, “the lack of independent sources and a restrictive legislative framework […] have profoundly challenged freedom of expression.” Compliant media paved the way for smooth and unchallenged campaigning by Nur Otan and its satellite parties. With all conditions in place for a safe electoral victory of the ruling party, it might seem that there would be no special need to resort to mischief at the ballot box. But in the stage-managed process nothing is left to chance and election machinery is programmed to deliver the expected result. The core of election administration is formed from reliable ruling party supporters and public sector employees who have much to lose from an insufficiently convincing victory of Nur Otan. It is hardly surprising then, that international observers found that voting proceeded “with significant violations in the process”, while counting and tabulation of votes were marred by serious irregularities and “an honest count […] was not safeguarded”. Official results announced by the Central Election Commission on 22 March gave Nur Otan 82.20% of votes, resulting in 84 seats; while the Communist People’s Party and Democratic Party “Ak Zhol” received 7.14% and 7.18% respectively, giving them 7 seats each. Other parties reportedly failed to cross the high 7% threshold. These results were not very different from the previous elections in 2012, when Nur Otan received 83 seats, Ak Zhol 8 seats and the Communist People’s Party 7 seats. The nearly identical results in 2012 and 2015 show that holding early elections became a part of “political ritual” that successfully secures reproduction of the ruling elite and serves to demonstrate President Nazarbayev’s uncontested and unyielding dominance on the political landscape of Kazakhstan. Some commentators linked the timing of these elections with the deteriorating economic situation, which may worsen later this year and negatively affect electoral moods. This may be true insofar as orchestrating a smooth electoral process goes. Given the parliament’s largely decorative functions, it is hard to see how it could seriously contribute to solving the country’s economic woes. After casting his vote, President Nazarbayev hinted at possible changes in the distribution of power between the president, the parliament and the government. Such changes, if and when they are introduced, are likely to offer little more than “recalibrating” the existing system that leaves the 75-year-old President Nazarbayev with all leverages to remain in control and have the necessary time and flexibility to decide on his succession. In this context, the trajectory of President’s daughter, Dariga Nazarbayeva, is important to follow. After 2012, Dariga Nazarbayeva became an MP and led the work of the Committee on social and cultural development. In April 2014, she was unanimously voted Deputy Chair of the lower chamber of parliament and leader of Nur Otan faction in the parliament. In September 2015, she was appointed Deputy Prime Minister of Kazakhstan. She was on the list of Nur Otan for these elections and some expected her to become speaker of the lower chamber. However, she remained in her post in the government. Dariga Nazarbayeva is seen as a likely, but not the only prospective successor to her father. A pliant parliament would play an important role in a succession plan that would approve her as Prime Minister or support her as a presidential candidate. No risks are therefore taken with parliamentary elections, which serve to remind the President’s circle that their political survival is in the President’s hands and depends on their continuing loyalty. In other words, these elections were held within the existing model of “superpresidential republic” and they were not intended to send signals of democratic transition. Dmitry Nurumov served as Legal Adviser and then as Senior Adviser to the OSCE High Commissioner on National Minorities (OSCE/HCNM) from 2011 to 2015. Prior to that, he worked at the ODIHR Rule of Law Unit as OSCE/ODIHR Rule of Law Coordinator in Central Asia. Before joining the OSCE/ODIHR he was a Legal Expert for the OSCE Centre in Almaty from 2001 to 2003. In the past, he also worked for a number of other international organisations. He holds a PhD degree in International Public Law from Moscow State Institute (University) of International Relations (MGIMO). Vasil Vashchanka (LL.M.) was a Rule of Law Officer (2002-2009) and Deputy Chief of the Rule of Law Unit (2010-2012) at the OSCE Office for Democratic Institutions and Human Rights (Poland) before joining the International Institute for Democracy and Electoral Assistance (Sweden) as a Programme Officer (2012-2014). Currently, he consults international organizations on rule of law and democracy-related issues. This entry was posted in Central Asia, Kazakhstan and tagged Kazakhstan, parliamentary election on April 7, 2016 by Robert Elgie. Nursultan Nazarbayev’s enduring presidency in Kazakhstan (25 years and counting) has been defined by what Max Weber would have understood as charismatic authority. [i] The presidency is dominated by his personal authority and the belief in the unique qualities and special attributes of Nazarbayev himself rather than the specific office of president. There is also a religiosity to charismatic presidentialism as the president is often depicted as being the ‘chosen one’. While power in Kazakhstan is conditioned by some elements of legal-rational authority (e.g. elections, separation of powers) and traditional authority (e.g. patronage, clientelist networks), presidentialism remains very much defined by charisma. Given the centrality of Nazarbayev to the political system in Kazakhstan what are the prospects for a stable transition to a post-charismatic order? While there are a number of mechanisms available to Nazarbayev to transition to a non-charismatic political order, these potential pathways feature considerable risks and problems, especially elite instability and the further personalisation of power. This post, based on a larger article published in the journal Studies in Transition States and Societies, conceptually locates the politics of succession in Kazakhstan within the notion of charismatic routinisation and considers the challenges and pitfalls of charismatic presidential succession in the Kazakh case. Any student of Max Weber would know that personalised charismatic leadership is ephemeral and lasts only as long as the charismatic leader. The process of transitioning from charismatic authority to one legitimated by legal-rational rules or traditional conventions is conceptually known as ‘charismatic routinisation’. [ii] ‘Designation’ and ‘charisma in office’ are two forms of ‘charismatic routinisation; which could play out in the case of Kazakhstan. Below I will deal with each of these potential processes in turn. ‘Designation’ is when a presidential successor is designated the role of leader, either by the charismatic leader, if still alive, or by administrative staff or elite followers if the leader is dead. In Kazakhstan any ‘designation’ of a successor requires their position as leader to be legitimised through an election. Yet this legal-rational component of the process can lead to a dilemma for charismatic followers as it endows the successor with a legitimacy separate from that given to the leader by the elite who put the successor in power. This additional legitimacy enables the successor the opportunity to reconstitute a form of charismatic presidentialism, as we have seen in the case of Turkmenistan (see below). Despite the persistent speculation over the last decade that Nazarbayev has been planning to hand power over to a designated successor, he has failed to do so. 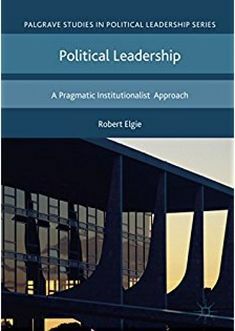 Instead he has concentrated power further into his personality which perhaps suggests concern regarding the consequences for political instability of a ‘chosen successor’ model, as the experience of other former Soviet states has demonstrated. The fact Nazarbayev has not provided, at least publicly, any indication for a preferred successor or a model or mechanism for a transfer of power, has led political analysts to consider the potential scenarios for a post-Nazarbayev order. The second scenario suggests elite groups under Nazarbayev will coalesce and attempt to rule collectively with a designated successor chosen as the figurehead of some kind of oligarchic power structure. However, the danger of such a ‘puppet’ is demonstrated in the case of Gurbanguly Berdymukhamedov in Turkmenistan. Berdymukhamedov was chosen as successor by powerful Turkmen elites in the aftermath of Saparmurat Niyazov’s death in 2006. Berdymukhamedov ‘designation’ was confirmed by a national election in March 2007. The election, however, endowed Berdymukhamedov with a legitimacy separate from those key elites who placed him in power. After the election those elites were ousted and Berdymukhamedov quickly reconstituted a form of charismatic presidentialism not unlike his predecessor. Naturally, we should not read too much into a comparison between Turkmenistan and Kazakhstan. Elite groups in Kazakhstan have far greater financial and political autonomy than those in Turkmenistan, and thus stronger foundations for a personal political base, which could serve them well in holding off any attempt by a designated successor to erode their power. In the aftermath of an election victory this year in which he collected 97.75% of the vote, Nazarbayev spoke of strengthening the powers of the parliament and the government at the expense of presidential power. [vi] Such proclamations, while being made countless times before to little effect, are an example of the second mechanism of charismatic routinisation – ‘charisma in office’. ‘Charisma in office’ can be understood as the transmission or attempted transmission of personal charismatic power into formal legal-rational political institutions. In Kazakhstan we can see this in the divesting of power to the Mazhilis (legislature) (and their constituent political parties) through constitutional reform. As noted above, there have been previous attempts at divesting power to the government and the legislature, the 2007 constitutional reform being but one major example. The set piece of that reform was that the Prime Minister would be appointed by the president only after consultation with parliamentary factions and with the consent of a majority of deputies. The problem is that the 2007 reform process led to a concentration of, rather than a diluting of, charismatic presidentialism. While Nazarbayev gave away the power to appoint the prime minister to the leader of the largest party faction in parliament, that largest party faction was Nur Otan (Light of Fatherland), his political party, which since its inception has dominated and controlled the legislature. ‘Charisma in office’ in Kazakhstan has also been further problematised by Nazarbayev finding it difficult to lay down the reins of power. Despite attempts to arrange a succession, aware that making plans prior to dying improves the prospects of their legacy remaining intact, charismatic leaders find it difficult to pass on the mantle to a successor. Instead there is a further consolidation of their charismatic leadership. The case of Nazarbayev and Kazakhstan neatly exemplifies this key dilemma. This was perhaps most evident with the introduction of the ‘leader of the nation’ legislation in 2010, in which loyal deputies in the Mazhilis proposed legislation conferring the title ‘Elbasi’ (leader of the Kazakh nation) on Nazarbayev. The legislation ensures that should Nazarbayev transfer power to another leader, or downwards to the parliament, he will still possess personal oversight of the political system. If anything, the leader of the nation legislation only entrenched charismatic presidentialism, embodying Nazarbayev’s unique and special status in the political system. ‘Charisma in office’, therefore, remains challenging as a potential pathway for post-charismatic succession in Kazakhstan. Despite continued proclamations that the process of constitutional and political reform will lead to the divesting of charismatic presidential power to political institutions such as the parliament and political parties, this has not occurred. This is primarily because formal institutions lack autonomy and because of a further personalisation and strengthening of power in Nazarbayev. This means that it is ‘designation’, underpinned by the legal-rational element of elections, which remains the most likely scenario for presidential succession in Kazakhstan. It is not difficult to imagine that there would be a collective effort by elites to install a figure who could maintain the economic interests of competing elite groups. As the case of Turkmenistan demonstrates, however, there is a danger that the legitimacy engendered by putting a designated candidate through an electoral process could lead to the reconstitution of charismatic presidentialism. Nonetheless, this is somewhat offset by the financial autonomy of powerful elite groups in Kazakhstan who might be better placed to ensure a successor does not emulate the charismatic nature of Nazarbayev’s presidency. [ii] Weber, M. (1978). Economy and Society: An Outline of Interpretive Sociology. Ed. Guenther Roth and Claus Wittich. Trans. Ephraim Fischoff, et al. Berkeley: University of California Press. [iii]Roberts, S. (2012). Resolving Kazakhstan’s Unlikely Succession Crisis, PONARS Eurasia Policy Memo, 231 (September 2012). [iv] Hale, H. (2005). Regime Cycles: democracy, autocracy and revolution in post-Soviet Eurasia. World Politics, 58(1) pp. 133-165. [v] Satpayev, D. et al (2013) Sumerechnaya zona, ili lovushki perekhodnogo perioda. Almaty: Al’yans Analiticheskikh Organizatsii, Gruppa otsenki riskov. Rico Isaacs is a Reader in Politics at Oxford Brookes University. His research interests focuses on the comparative political sociology of authoritarianism, regime-building and nation-building in Central Asia. This entry was posted in Central Asia, Kazakhstan and tagged Kazakhstan, President Nazarbayev on July 6, 2015 by Robert Elgie. On 2 April the Prime Minister of Kazakhstan, Serik Akhmetov, resigned. He had managed Central Asia’s largest economy since September 2012. According to national legislation, the resignation of the Prime Minister means the resignation of the whole government. Last Friday, President Nazarbayev signed the decree nominating the ministers of the new government led by Karim Massimov, the new Prime Minister. Massimov’s candidacy was announced in a statement on the presidential website after Nazarbayev held consultations with parliamentary factions. The Parliament, where Nazarbayev’s ruling Nur Otan party controls more than 80% of the seats, voted unanimously to approve the president’s choice. Akhmetov’s resignation was not backed by any official explanation. Akhmetov, who is 55 years old, is a devoted loyalist of Nazarbayev. He started his career at the same steel plant in Temirtau as the president and later rose through the ranks of the Soviet Communist party. However, earlier in February Nazarbayev heavily criticised the Cabinet for its inability to attract foreign investment. Despite being eventually ‘fired’, Akhmetov has however been nominated as the new Defence Minister. The reasons behind Akhmetov’s resignation and Massimov’s nomination as new Prime Minister are however quite evident if we consider the recent economic crisis in Kazakhstan – recently, the government devalued the national currency by nearly 20% in the hope of ensuring economic growth of 6% this year – and the role that the country plans to play when it comes to the future of economic development in Central Asia. The new Prime Minister will face the challenge of preparing Kazakhstan’s integration into the Eurasian Economic Union, which will be established in Astana in May and will unite Russia, Kazakhstan and Belarus. The union, to be formed by 2015, is widely seen as a regional counterbalance to the European Union. Massimov is considered to be the right man for this job. He has indeed already served as Prime Minister between 2007 and 2012, studied in Moscow, is considered to be an expert on China, and is believed to have high-level connections with the Kremlin. But, more importantly, president Nazarbayev trusts him. The other question is whether Massimov’s return to a dominant position in the government hinders his ambition of succeeding Nazarbayev. Although it would be difficult for him to become president because of his Uighur ethnicity, his nomination shakes the balance of power among the many players who seek to control the issue of succession. 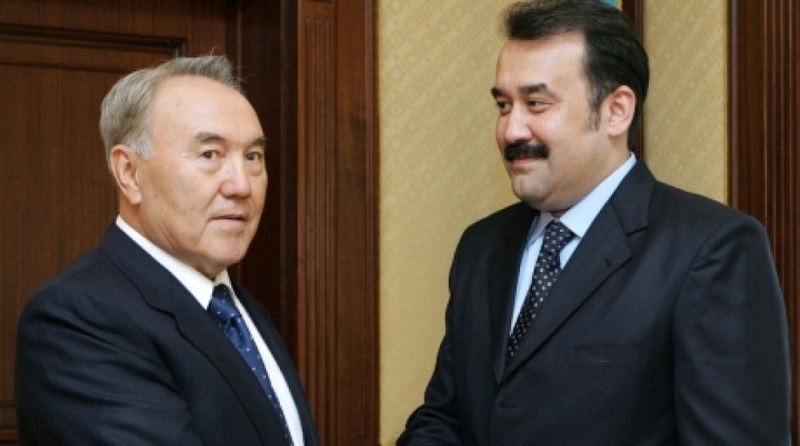 It could indeed indicate Nazarbayev’s willingness to counterbalance the growing power of Astana mayor, Imangali Tasmagambetov, or an attempt to weaken Timur Kulibayev’s influence, his son-in-law, another likely candidate for succession. Nevertheless, the 73-year old president has consistently avoided indicating any preference. Among the most relevant ministers, Nazarbayev agreed to appoint the following individuals: Bakhyt Sultanov, as Minister of Finance; Berik Imashev, as Minister of Justice; Uzakbai Karabalin as Minister of Oil and Gas; Yerlan Idrissov as Minister of Foreign Affairs; Zhanar Aitzhanova as Minister of Economic Integration; Kalmukhanbet Kassymov, as Minister of Internal Affairs of Kazakhstan; and Yerbolat Dossayev as Minister of Economy and Budget Planning. This entry was posted in Central Asia, Kazakhstan and tagged government formation, Kazakhstan, president on April 9, 2014 by Paola Rivetti. The Kazakh president Nursultan Nazarbayev took the decision to devalue the national currency, the tenge, against the US dollar by nearly 20 percent of its original value in order to boost economic growth and exports. This move, announced on the 11th February, was aimed to prevent large-scale foreign exchange speculation after the value of the Russian ruble fell by 10 percent earlier in January. The goal is to increase the competitiveness of the Kazakh economy, the president declared, with no negative impact on ordinary citizens. However, protests against this decision have been widespread in a country which is well-known for its political stability. Nazarbayev has been ruling Kazakhstan since its independence in December 1991 and enjoys popular support because of his track record of improving national economic performance by attracting foreign investments, notably in the energy sector. However, according to the Prime Minister, Serik Akhmetov, and the National Bank’s Chairman, Kairat Kelimbetov, recently imports have been growing faster than exports. The country had already devalued its national currency in 2009, a move which resulted in a significant increase in the flow of capitals towards Astana and in limited inflation. To contrast possible negative effects of devaluation, Nazarbayev urged national companies in the metal and oil industry to increase salaries by 10 percent. He also ordered a 10 percent increase for the salaries of state employees in various sectors (education, health care, social protection), as well as increases to pensions and other social payments. In addition, he ordered a raid on the country’s strategic oil reserve fund to finance manufacturing and industrialization in 2014 and 2015, in an effort to prevent growth rates from slipping. Despite these measures, protesters raced to three banks in an effort to withdraw their savings. In Almaty, protesters gathered on Sunday 16th February, staging the seventh protest since the announcement of the devaluation, in a country well-known for its lack of political mobilisation. Furthermore, last week an anonymous message circulated on WhatsApp warning that three of the country’s private banks (Kaspi Bank, Alians Bank, and Centrcredit Bank) were on the verge of bankruptcy, causing mass panic. In reaction, on Friday the president declared that the initiators of the information campaign against the banks will be punished and Kaspi Bank announced a reward of 100 million tenge for identifying them. The perpetrators have been already arrested by the General Prosecutor’s Office. In several cities, protesters have also demanded the revision of their mortgage loans, which were taken in US dollars when the tenge’s exchange rate against the dollar was much lower than today. The protesters complained that since their salaries are in tenges, their mortgage debts have increased dramatically. A National Bank spokesman told the protesters that the bank had established a commission to revise the request. This entry was posted in Central Asia, Kazakhstan and tagged Kazakhstan, president on February 24, 2014 by Paola Rivetti.